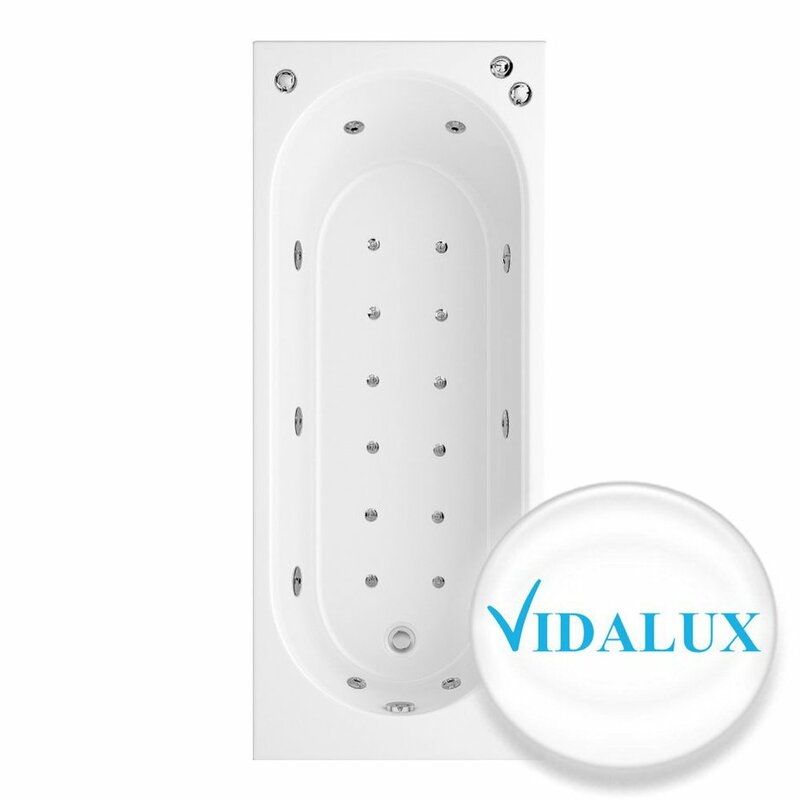 The Vidalux Pure Range Of Luxury Hydro Showers – Showers That Pay For Themselves? Our Pure E range, as its name suggests, is our most simple range of shower cabins. Notwithstanding this, they are a great way to add a touch of luxury to any bathroom without breaking the bank. Whether you’re looking at a compact 800 x 800 or 900 x 900 for an en suite or a spacious 1000 x 1000 or 1200 x 900 mm for a family bathroom, there’s a Pure E shower cabin to suit your needs at a price you can afford. Elegant and minimal, we crafted the Pure E range to fit seamlessly into bathrooms of all shapes, sizes and styles. The clean lines and metallic touches combine classic grace and modern lightness and hence will always be appropriate to any look. If you wish, you can accessorize your shower cabin for even more versatility. While we’ve created the Pure E range to reflect the ethos of affordable luxury, we stake our reputation on the build quality of all our shower cabins and the Pure E range meets our demanding standards. 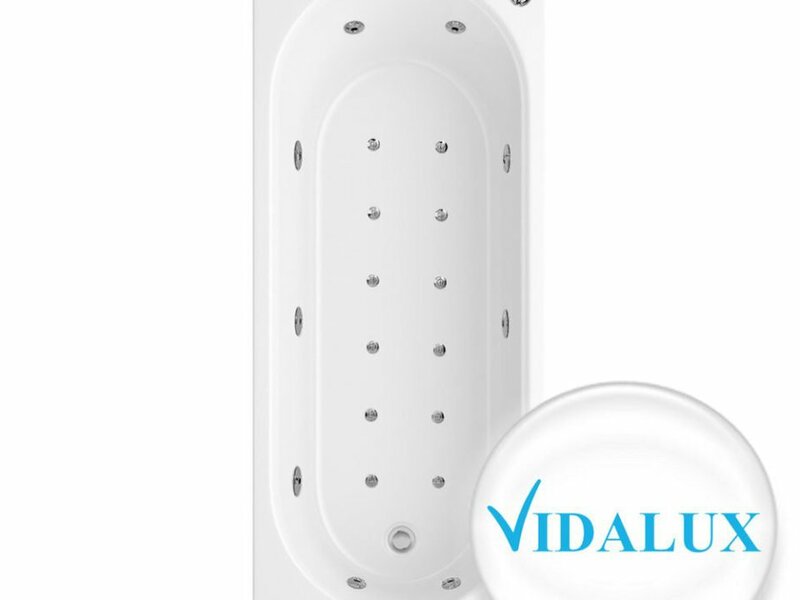 Just like its counterparts, it is built on a base of reinforced acrylic, over a steel frame, for maximum robustness and has adjustable feet help to ensure stability on any bathroom floor. The glass panels are made of safety glass to minimize the risk of cracks and chipping and the associated risk of cuts. We’re prepared to show we mean what we say when it comes to the reliability of our showers and so we give all our customers a warranty of at least two years. Since we’ve been in the bathroom business for over 15 years, you can be confident we’ll be around for you in the future, plus we’re based in the UK, so you have the backing of all, relevant UK consumer-protection laws. We created the Pure E range with the idea of providing maximum impact with minimal cost and inconvenience. If you are at all competent at DIY, you’ll find it totally straightforward to put together our Pure E self-contained shower cabins, alternatively, there are plenty of professionals who can take on the job for an affordable price. The fact that our self-contained shower cabins can be placed directly in front of an untiled wall helps to make installation even easier and cheaper since it saves on the time and effort of tiling as well as the cost of the tiles. The Pure E range is available as a choice of blank shower cabins for you to install your own choice of shower (up to 19CM in width), but for maximum convenience and reassurance of quality, you can opt for one of our showers. We offer an 8.5KW model for those looking for the most economical option and a 9.5KW model for those who prefer a bit of extra power in their water flow. Like our shower cabins, our showers are made to the highest standards and are offered in neutral colours to fit in with any style of décor. Once your shower cabin is installed, you’ll almost certainly be able to use it without the help of the comprehensive manual we provide. For safety reasons, both the controls and the (safety) glass shelf are placed high enough up the central column to be out of the way of curious little hands. For older people, even the smallest of our Pure E shower cabins have enough space for seating and we offer two options for you, which have been optimized to provide safety and robustness in the wet environment inside a shower. You can choose from a flip-down, cabin-style seat or a wood-effect stool. We engineered the latter to give the look of wood, but with the safety of robust plastic which will neither splinter or rot in the wet. Likewise, the metallic legs will keep their sheen over the long term without rusting. The results of water damage can be expensive. In bathrooms, leakage from standard shower enclosures is an everyday hazard and, as a minimum requires tiling to be regularly maintained and sometimes requires tiles to be replaced, which can be complicated as well as expensive. It’s even worse if the water seeps into the actual wall. From a home owner’s perspective, one of the biggest advantages of our self-contained shower cabins is that they keep water safely within them, hence the fact that they can be placed against untiled walls. From a user’s perspective, a self-contained shower cabin often provides a higher level of comfort and a feeling of greater privacy when compared to a standard shower enclosure and is miles ahead of over-bath showers. Put this together with the safety aspects we’ve already mentioned, which also help users to feel more comfortable and it’s easy to see why we think of our Pure E range as affordable investment pieces. 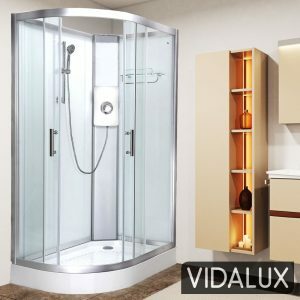 Vidalux Range Of Steam Showers – The Best Steam Showers On The Market?